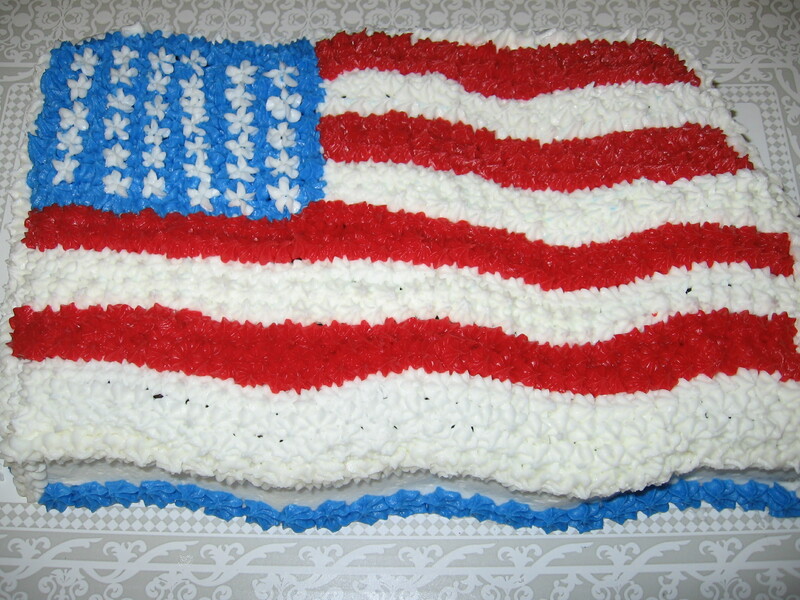 Celebrate the 4th of July with this flag cake. Very easy all you need a the star tip. If you don’t like cake you can do the same with a oblong pan and brownies. This entry was posted in Cakes, Holiday and tagged Cake, Flag Cake, indendence Day Cake. Bookmark the permalink.